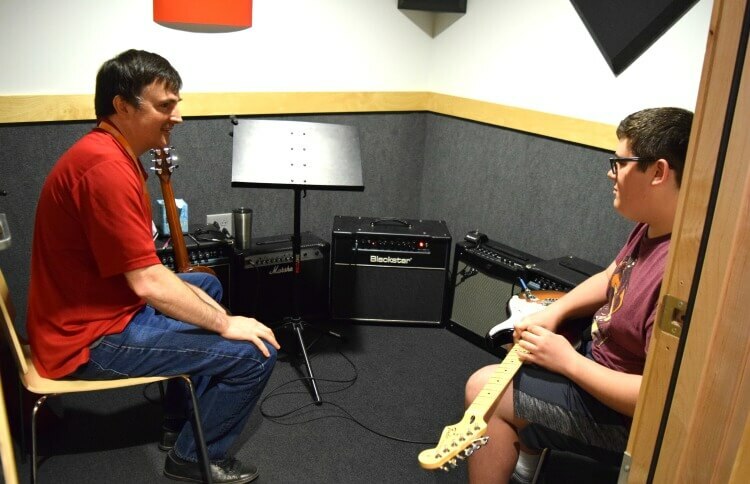 We partnered with Guitar Center and The Motherhood to give you a peek into their music lessons program with electric guitar lessons for my teen. Do you have a kid interested in music lesson? If you’ve followed along with us, you probably know my teenager, Ethan, started electric guitar lesson at Guitar Center several weeks ago. He’s now in the middle of 12 weeks of lessons this summer and just loves it. Previously, he had taken electric guitar lessons from a private instructor. 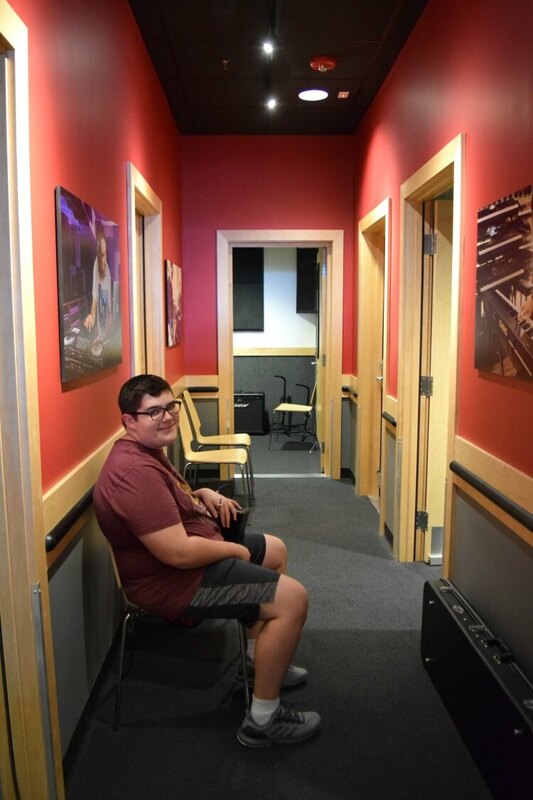 But, since switching to Guitar Center, he has been a lot happier and more confident in learning to play the guitar. I asked him what was different about Guitar Center’s lessons, and he told me quite a few things. First, he really liked how easily his instructor, Colin, was able to easily figure out what his skill level is and knows exactly what Ethan was good at and what he needed to work on. He likes how the lessons are more structured including actual lesson books. Ethan feels like he knows exactly what to work on at home for practice. Ethan also likes how his instructor makes it fun because he finds songs they can play that Ethan has heard before and knows. Guitar Center uses real experts for instructors who are professionals and have a real passion for music. They find the instructor that’s right for you. Ethan’s instructor has degrees in music. Their custom curriculum programs are approved by the National Association for Music Education, and it’s tailored to your child’s preferences with contemporary music and songs. They are really there to help your child reach their music goals. Communication is easy with the instructor and the scheduler. We had to reschedule lessons due to vacation. They were very accommodating, and it was easy to do. They also do like to keep parents involved. Ethan’s instructor even offered to let me stay in the room while they were having their lesson. There’s seating where you can wait right outside the lesson rooms. There’s even a video screen at the scheduler’s desk with each lesson room, where you can see exactly what your child is doing during the lessons. With more than 200 locations nationwide, it’s easy to find one near you. Plus, they are a one-stop shop with supplemental learning materials and much needed supplies (like guitar strings!). And, if you need it, there’s even a repair shop right there. 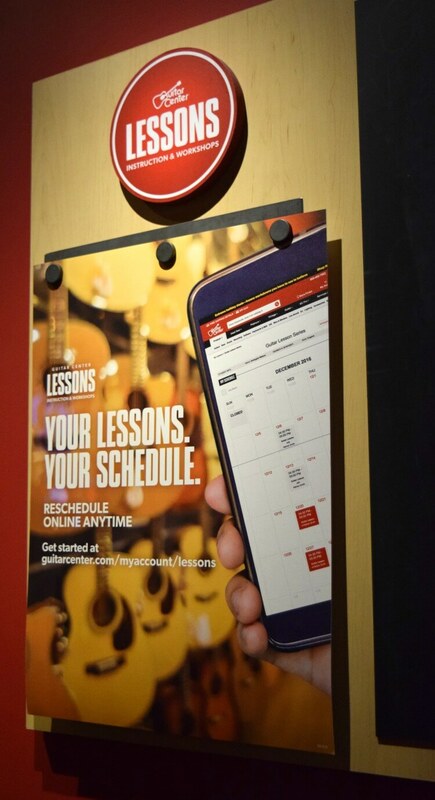 Find the Guitar Center near you so your kids can grow as musicians! Connect with Guitar Center on Facebook and Instagram. I love that there’s a place to wait for your child and a screen to see everything your child is doing. I’ve always loved Guitar Center and didn’t know they gave private lessons. Think it is wonderful your son wants to learn how to play an instrument. Guitar is something he can enjoy for many years to come. Nice how wonderful the instructors are and there are plenty of locations for people to take advantage of. This is such a great idea!! If I put my kids in music lessons I would love to be able to watch them! Looks like an awesome place for lessons. I really wish I had learned to play the guitar as a kid. Having something like this is such a great opportunity for kids to learn something and probably also develop their talents. I am also looking forward to my kids learn about so many things and lessons in the future. It is so great when you can find a trusted place to give your teen these skills. My son plays piano and it makes a difference who teaches and motivates him. We have a Guitar Center here on Key West, my husband and I were talking about taking lessons, sounds like a great experience. Thanks for sharing! 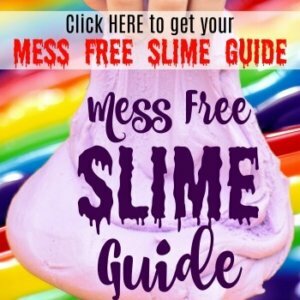 This is great information to know. I had no idea that they offered lessons as well. I always wanted to get guitar lessons for my kids but never knew where to go. 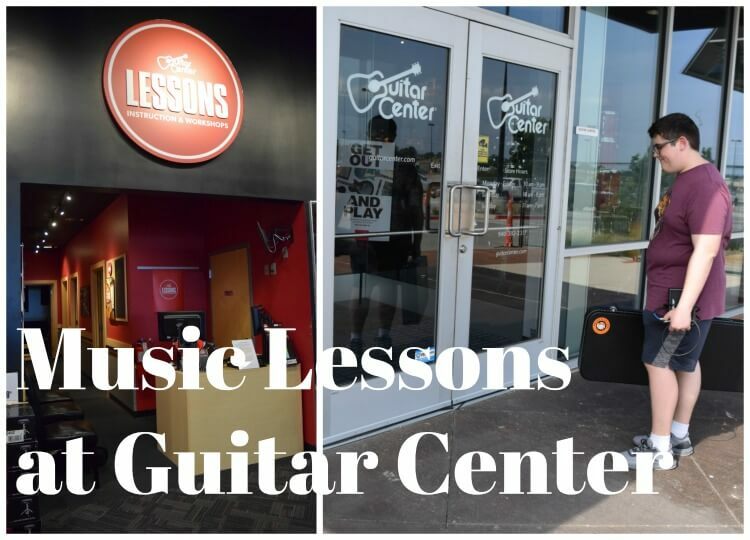 It sounds like Guitar Center is perfect for people who want to learn to play! My 5 year old has been begging us for guitar lessons. I actually contacted Guitar Center today! What an awesome thing to do! I wish I had stuck with the lessons and could play, even just a little bit. That’s very nice! My son used to say that he wanted to learn how to play guitar but right now, he gets distracted with other things so if the time comes where he can focus, I’ll enroll him. I’ve never heard of Guitar Center, so I don’t think there is one nearby. However, my daughter would love this! She is forever wanting to learn how to play the guitar. The Guitar Center seems like a nice place to learn the nuances of the Guitar. I love the fact that the Center involves parents too who can be present during lessons. It is so helpful to partner with your kid when he or she is learning something new. My kid is interested to take some guitar lessons. Your article helped me to decide what kind of lessons I need. I’m glad he likes his guitar lessons!! I also think it’s great that they keep parents updated! How fun!! This is so fun! My 9-year-old step son is really into learning guitar right now. We’d like to get him lessons, but for now he’s just learning from his grandpa and my brother who play. I had no idea they did lessons! I’m going to give them a try when ours is old enough for it!